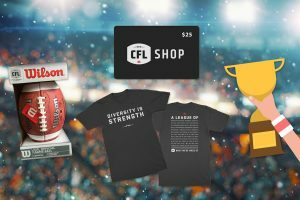 Home » Events » Canadian Men’s Health Foundation at the 105th Grey Cup Festival! The Canadian Men’s Health Foundation team can’t stop talking about Grey Cup 2017. It was a heck of a game, no doubt, but for us the build-up to the main event was just as thrilling. 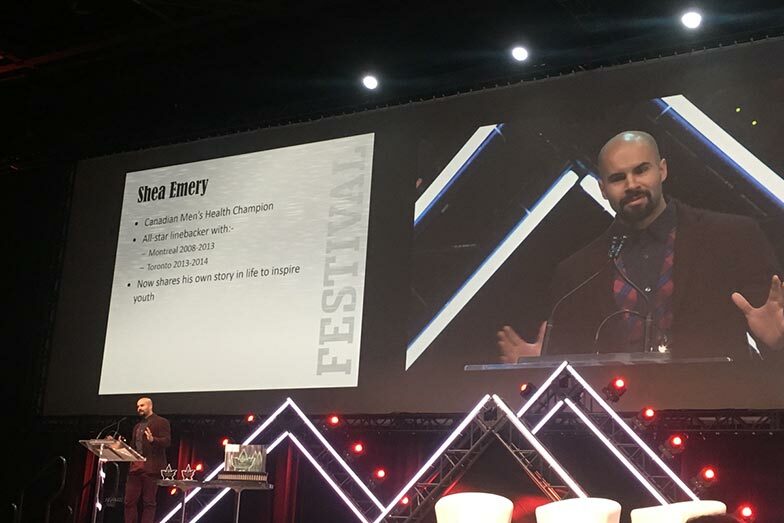 Not only that, McCrory got to sit with our National Champion and two-time Grey Cup winner Shea Emry, who explained the Xs and Os after he delivered a deafening rendition of O’ Canada. “Singing the anthem with that many people was phenomenal, and after that the game just got better and better!” McCrory recalled. Emry did much more than explain plays and sing his heart out. On the Friday before the big game, he delivered an inspiring speech to hundreds of fans and their idols at the CFL Alumni Association Luncheon. 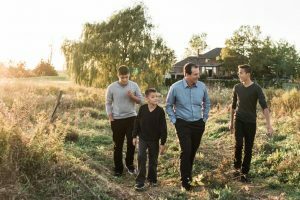 “We want men, women, and families to understand that improving the health of men doesn’t have to mean giving up all our cheat days or running marathons. In fact, you don’t need to change much,” Emry said. It was amazing to celebrate Canada’s 150th Birthday at Grey Cup, along with thousands of fans from across our great nation. Even Prime Minister Justin Trudeau and his family were watching in the stands! We had the privilege of meeting Minister of Environment & Climate Change Catherine McKenna, CBC Sportscaster Brian Williams, and the CFL Commissioner himself Randy Ambrosie! Parlez-vous francais? 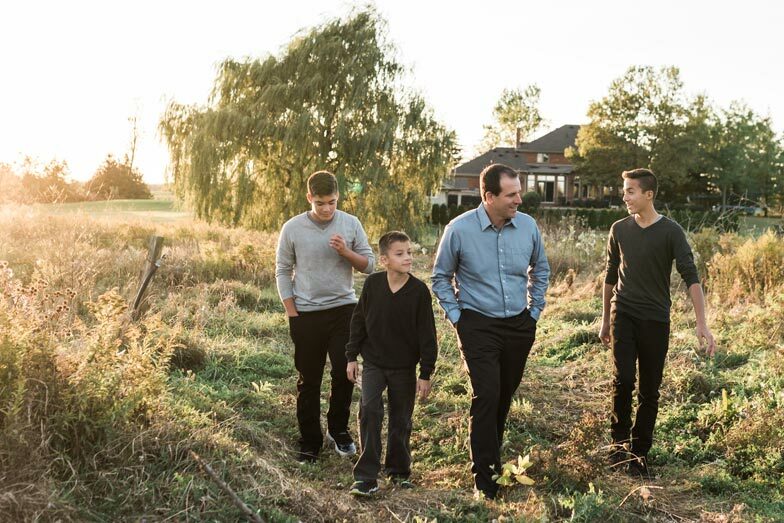 Their health tips are available in French too at ChangePasTrop.ca/LCF! 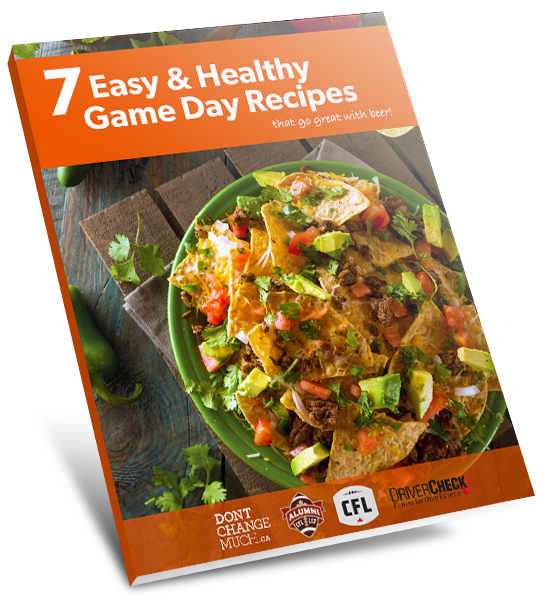 Hundreds of guys downloaded our free recipe eBook, which serves up healthier versions of your favourite game-day recipes that don’t sacrifice taste and are so easy to make even the ref could make them. If you didn’t get your copy, download it here! 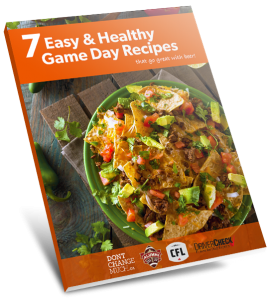 But wait, it gets even better: Everyone who downloaded the recipe eBook was also entered to win one of 10 amazing CFL prize bundles including an official signed CFL football and other sweet stuff. Click here to find out who won on DontChangeMuch.ca! 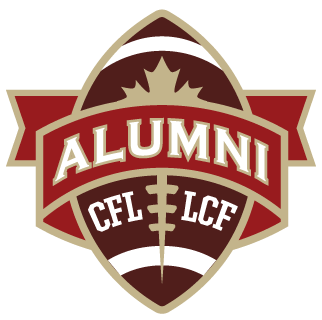 To officially mark the partnership between the Canadian Men’s Health Foundation and CFL Alumni Association for the 105th Grey Cup, we published a “Canadian Football Players Put Their Shoulder Into Men’s Health” press release to our websites. 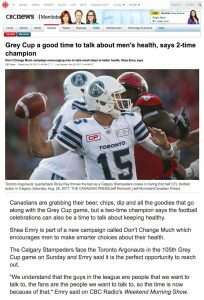 Former CFL players lent their voices to our Don’t Change Much campaign, encouraging men to take small steps towards better health, in interviews with regional media including: CFL Podcast “The Waggle,” Global News Radio 900CHML, CBC Radio 1 Manitoba, and CBC.ca. 9. Did you catch our Don’t Change Much commercials? 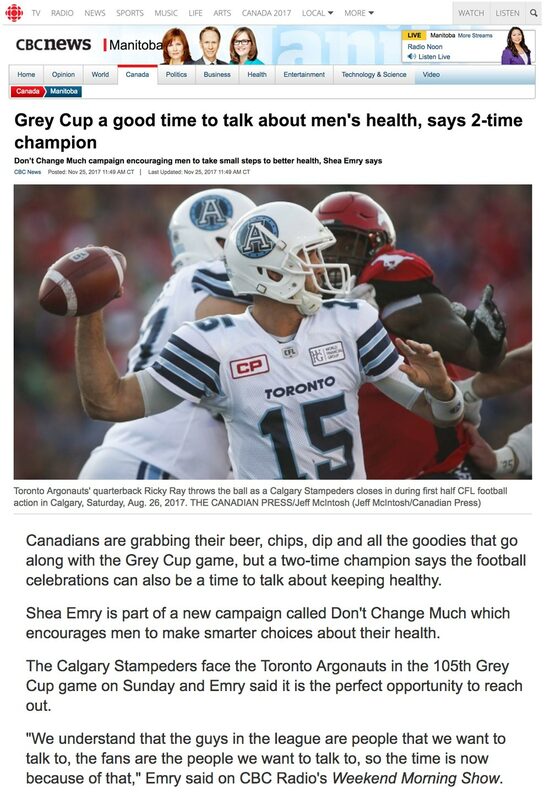 Don’t Change Much commercial aired on both TV and radio stations in the Ottawa market and Nationally leading up to and during the 105th Grey Cup through major broadcasters including TSN and CBC. In case you missed it, watch our hilarious TV commercial on YouTube. A big thanks to the CFL, CFL Alumni Association, and Driver Check for helping us to amplify these health tips to inspire fans across the country! It was an exciting Grey Cup in Ottawa this year and the CMHF Team can’t wait to experience the showdown in Edmonton in 2018. See you there!